Description: I´m amazed by mods made by Zippo. 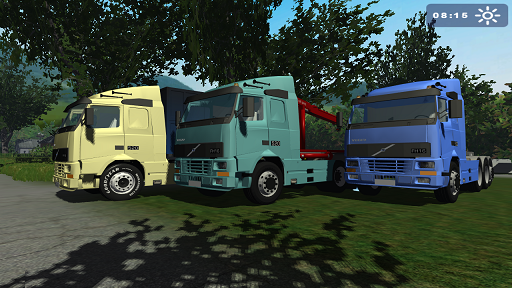 As I am a big fan of Volvo trucks I replaced the cabs and added a few things to the mods. I also made two trailers (original Star 4) to fit the container-truck and the tipper.